As e-commerce specialists for nearly twenty years, one of the questions we hear the most is how well different ERP systems work when it comes to running an online channel. There’s no clear-cut answer: every ERP has its advantages, and a lot depends on factors like your industry, the size and complexity of your company, and your business and engagement models. 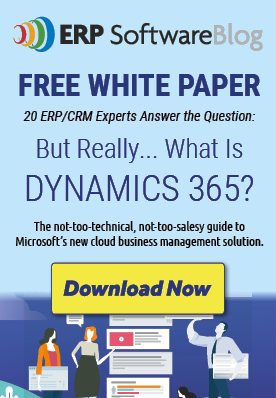 To take Microsoft’s latest offering, Dynamics 365, as an example, it actually comprises two different ERPs designed for two entirely different types of business. That said, the underlying architecture and functionality of Dynamics 365 (both versions) make it particularly well-suited for any company thinking of opening for business on the web. So, if you’re trying to decide on an ERP, here are four reasons why we consider Dynamics 365 to be a great choice for your e-commerce project. One of the defining features of an e-commerce channel is its capacity for rapid, exponential growth. Whereas even the most successful brick-and-mortar store is ultimately limited by the number of customers who can physically make the trip to shop there, a popular web store can theoretically receive traffic from all over the world, twenty-four hours a day. Of course, this type of growth is only possible if you have a system built to support it. Amazon could never process the sheer number of orders it receives if its underlying architecture weren’t designed to handle that level of traffic. And while you probably won’t have to worry about Amazon-scale success from your first sale, you want to make sure that your business runs on an ERP that can grow with your business. How easily can your ERP adapt as you continue to add more users, more products, more data? Dynamics 365’s modular, cloud-based architecture is built with scalability in mind. Rather than maintaining a traditional on-premise IT system which has to be upgraded, expanded, and ultimately redesigned as your business grows, Dynamics 365 is based on Microsoft’s cloud service, Azure, as a Software as a Service (SaaS) solution. That means that instead of being installed directly on a machine, your ERP is reached through a web browser and you can access it from any internet connection. Rather than being bottlenecked by the hardware specs of your office equipment, Dynamics 365 automatically scales up and adapts to any new influx of data and level of use. In other words, it leaves you free to concentrate on growing your business without having to worry about replacing obsolete infrastructure. At the same time, a cloud-based solution provides stability and security, guaranteeing the availability of your company’s systems and the privacy and protection of your company’s data at all times. In e-commerce, we talk a lot about ERP integration: the importance of establishing a line of communication between your web store and your back-office systems to allow for a real-time exchange of data and to ensure data consistency. Dynamics 365 takes this concept a step further by integrating all the business process applications typically associated with customer relationship management (CRM) and enterprise resource planning (ERP) solutions into a single, unified system, providing comprehensive data on pricing and inventory, orders and invoices, clients and prospects, accounts, and so on. This transparency of data facilitates analytics and reporting, and supports everything from sales and marketing efforts to product development and customer support. When combined with an ERP-integrated web store, it allows you to make swift, informed decisions, shifting your strategy as needed and running your business at maximum efficiency. 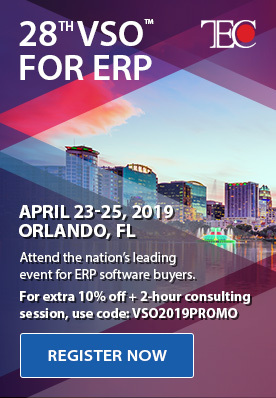 And of course, as we’ve already mentioned, Dynamics 365 is not one but two distinct ERPs: Dynamics 365 Business Central and Dynamics 365 for Finance and Operations. Both are Azure-based, highly scalable and agile ERP solutions, but configured for entirely different business needs. As the successor of Dynamics NAV, Business Central is designed for small to medium-sized businesses looking for greater connectivity and operational efficiency. Finance and Operations, as the successor to Dynamics AX, helps medium to large-sized businesses accelerate and expand their operations even further. Both ERP solutions offer the same advantages, but priced and packaged for businesses of varying sizes and levels of complexity so that any company can benefit from their next-generation enterprise-powering capabilities. And the diverse Dynamics 365 subscription model grants access to apps on an as-needed basis, meaning you only pay for the services and applications you use. But the signature feature of Dynamics 365 is its modular design. Every business is different. Not just on the levels of size, complexity and order volume, but in terms of specific requirements. Two companies of comparable size in the same industry might have radically different business models, supply chains, and clientele. So even if those businesses are also using the exact same ERP, they might need to use it in very different ways. As an app-based solution, Dynamics 365 is designed to provide exactly the kind of flexibility these two businesses are looking for. Companies select and plug in the modules they need; as their business requirements change, they simply swap out or incorporate additional modules and apps. This makes Microsoft AppSource a critical component of how Dynamics 365 works. As the certified marketplace for official Microsoft and approved third-party add-ons (not just for Dynamics 365 but for Azure, Office 365 and more), AppSource allows business owners to search, find, and run the specific functionality they’re looking for. You can even find e-commerce solutions on AppSource that integrate directly with Dynamics 365. k-eCommerce, for instance, has integrated solutions for both Dynamics 365 Business Central and Dynamics 365 for Finance and Operations available on AppSource. The best part about third-party programs on AppSource is that they undergo an in-depth approval process with Microsoft before they can be listed, so you always know that you are working with software that you can trust. Coupled with the security and scalability of the cloud, the integration of ERP and CRM components, and the flexibility of the pricing model, this makes Dynamics 365 an excellent and highly adaptable choice for any business considering an online channel.